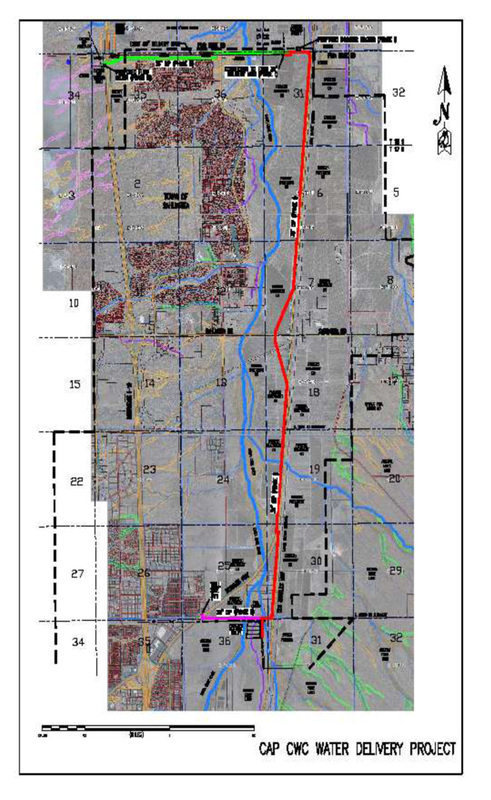 USCPUG, with Community Water leading the project initiative, worked to ensure that the design capacity of the main pipeline would address the future needsof USCPUG members; which is estimated to be approximately 30,000 Ac-ft per year, including Community Water. Community Water is delighted with having completed a Final Environmental Assessment and the clean bill of health for our project. And, the Community Water Project is the only renewable water delivery system in the Upper Santa Cruz area to have completed an Environmental Assessment. This project will be constructed at no cost to Community Water members. Hudbay, the parent company of Rosemont Copper, has agreed to fund construction as part of its commitment to Community Water to provide water recharge conservation in the Green Valley/Sahuarita area. This is the first industrial entity to address its impact on water pumping in our area as part of its development. With this project, Community Water continues to develop a renewable water supply for its members.